The Sunday wedding of Paige and Chris managed to dodge the rain and thunderstorms the Danbury area has been having lately. When Paige first inquired about having their wedding and reception at Tarrywile the question of weather invariably comes into play, my standard answer is; “I can never tell anymore”, which is true with the way New England weather has been the past few years and then some. 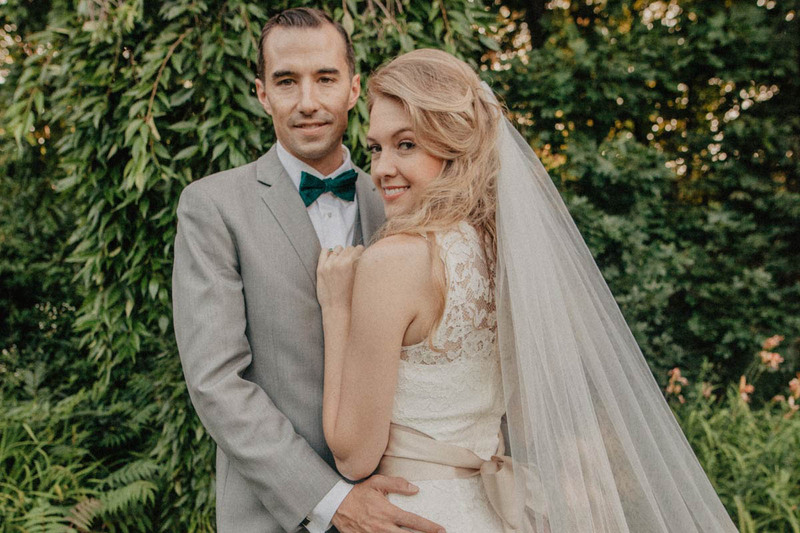 The timing was perfect for Paige and Chris who exchanged their wedding vows outside under our lush grape arbor, then proceeded to celebrate with cocktail hour and the reception inside the Tarrywile Mansion. I was truly happy when Paige and Chris decided to book Tarrywile Mansion for their wedding and reception, after the initial tour they were moving to Florida so the bulk of their wedding planning would be done long distance. While Paige finished up with her classes, Chris became my go to for all things “#ToHaveAndToHeins” – Heins/McItyre Wedding”. Chris did a great job with organization and communication, he was on top of everything and was lovingly referred to as “Groomzilla” by his soon to be bride. We would like to wish Paige & Chris all the best in their new life in Florida and many blessings in their marriage and the many years to come.